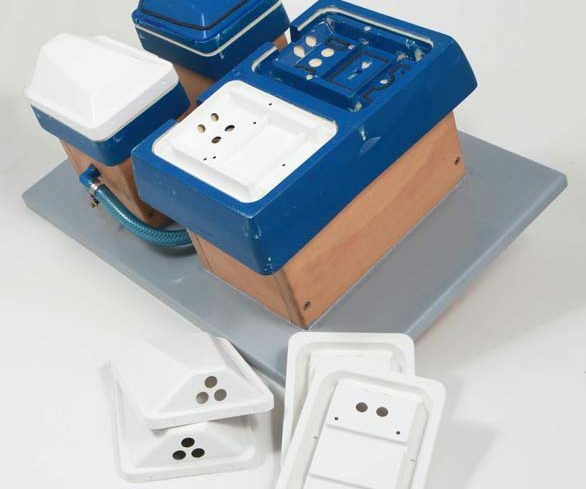 We produce our plastic thermoforming parts on contemporary production plants. As we can produce thermoforming parts with an initial thickness of 0.2 to 12 mm, we use both, roll shape machines and plate shape machines. 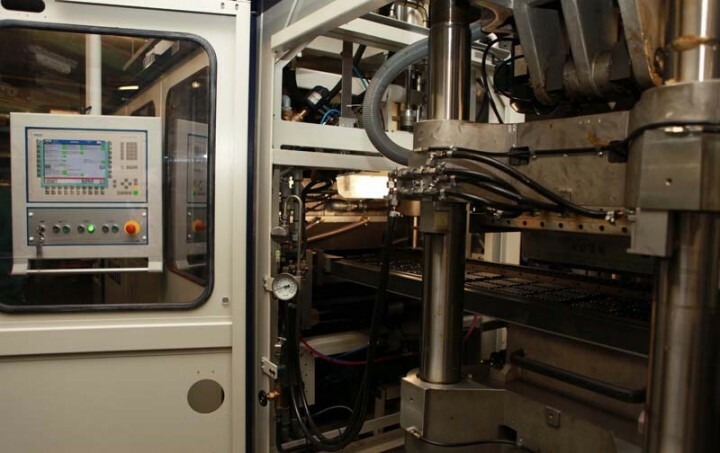 Our production machines are able to operate with compressed air support and some with a vacuum on both sides. This achieves precise shaping degrees for the thermoform parts, with a simultaneously low temperature load of the thermoplasts. 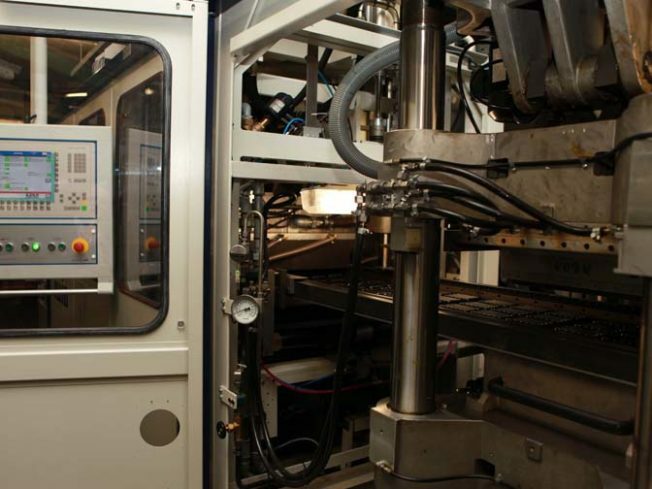 Our machines for post-processing the thermoform parts are also varied. Here, cutting units of all kind are available. 2D cutting, 3D cutting or multiple level cutting is possible here. 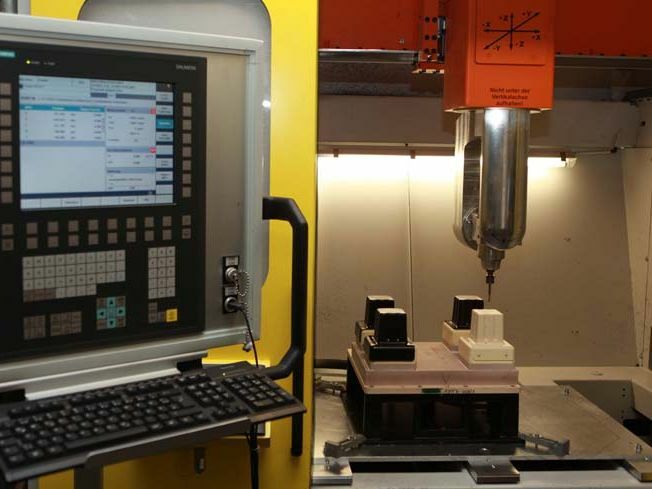 Furthermore, we process thermoform parts three-dimensionally with contemporary CNC-5 axis milling plants, which allows us to implement nearly all individual customer requests. 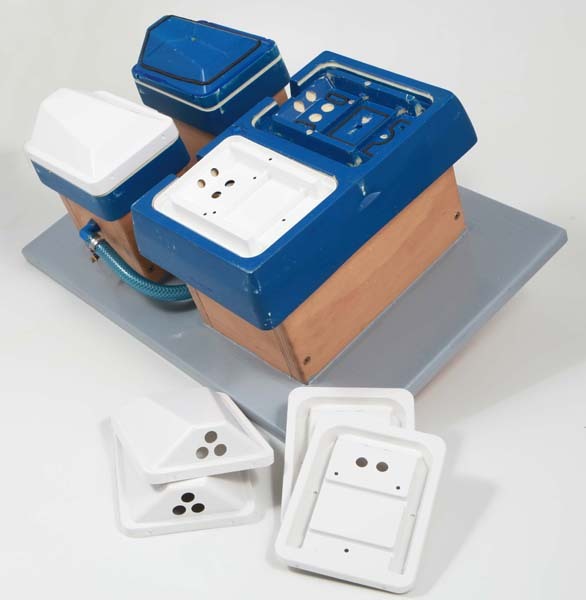 Additionally in the post-process we can fix two thermoform parts by using ultrasound welding. Furthermore we can manufacture edge shape parts and impress signs in many colours into the shape parts by our hot seal plant.